I wanted to take some time this weekend to give a shout out to some of our super rad sponsors here at GWS! Please support them as they are the ones that let us bring great inspiration your way each day – and lots more great ones on the right side column also! 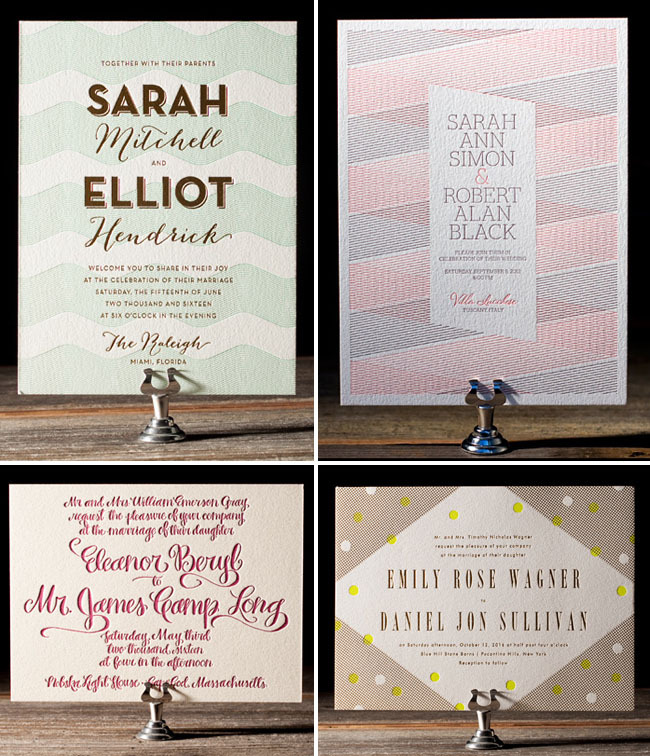 First up are the gorgeous letterpress invites from Bella Figura. Bella Figura is a green print shop (learn more about that here) and I love their beautiful letterpress options – and pretty gold foil stamping. Looking for a unique ring? 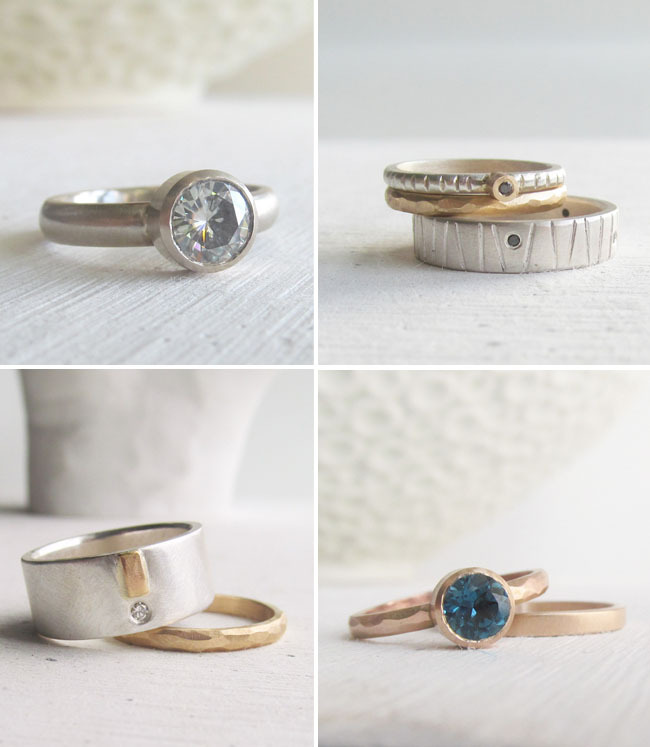 Check out the handmade rings from Lolide. Shopping for a wedding dress? 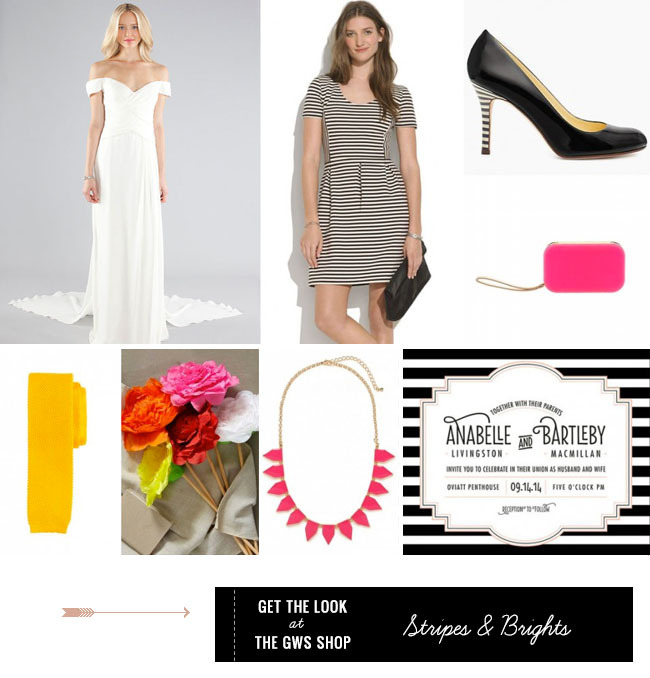 Lovely Bride (shops located in Los Angeles and New York City) carries GWS faves such as Sarah Seven, Ivy and Aster, Carol Hannah, Claire La Faye, Elizabeth Dye + more! 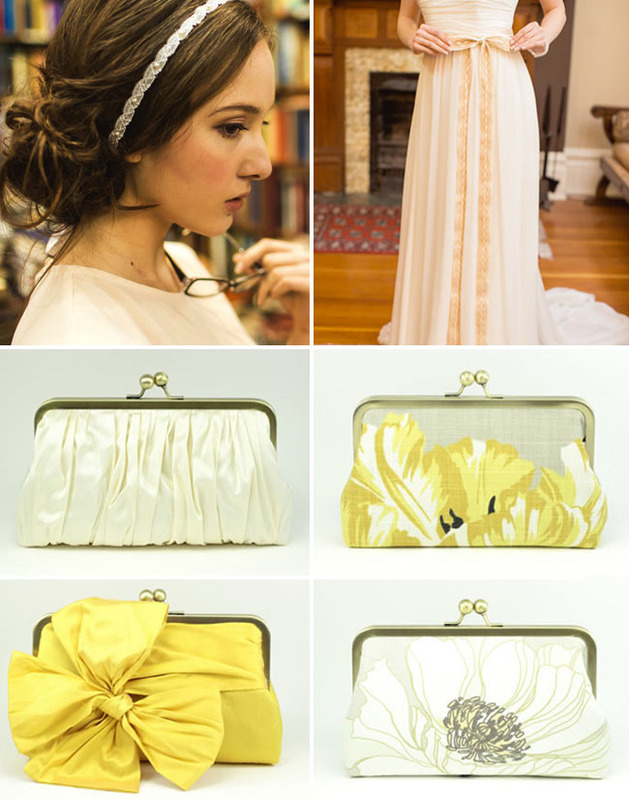 Davie & Chiyo specialize in custom, one-of-a-kind clutches for every member of the bridal party as well as sashes and pretty hair pieces. 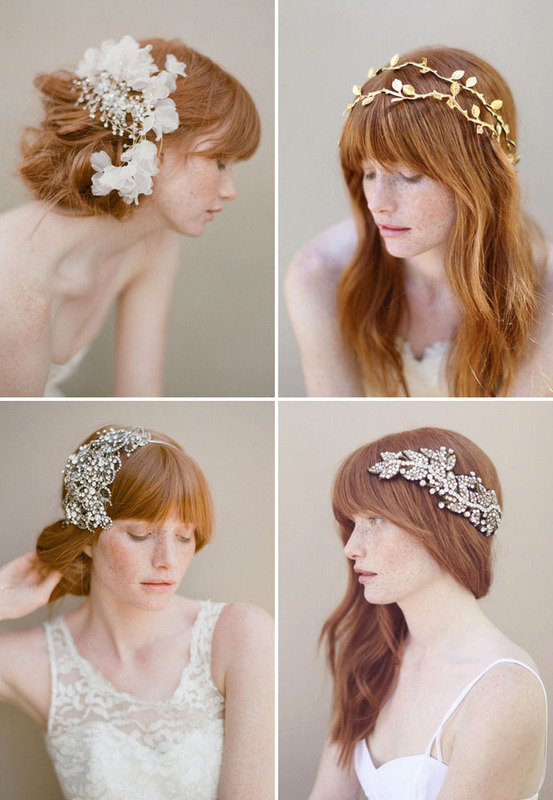 Twigs & Honey make some of the prettiest hairpieces for your wedding day and Myra just launched the 2013 summer/fall collection which is simply stunning! 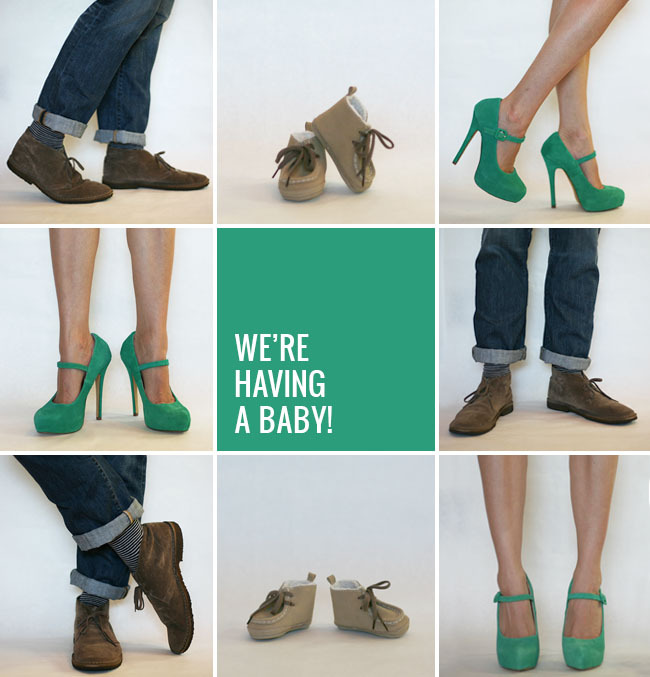 And a big welcome to some of our newest GWS Preferred Wedding Artists! • Photography by Brigham & Co. 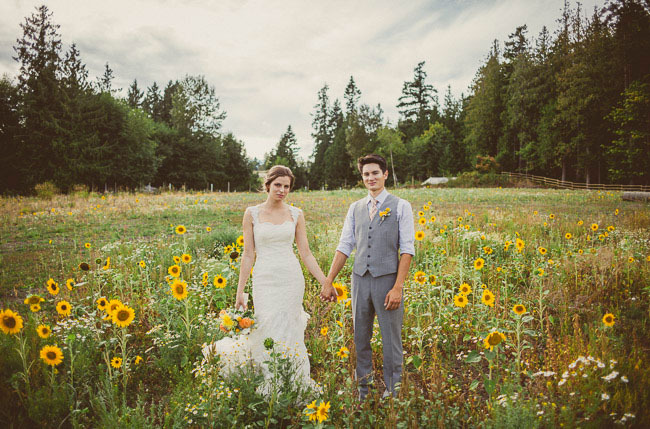 Check out more of our Preferred Wedding Artists in the Gallery. 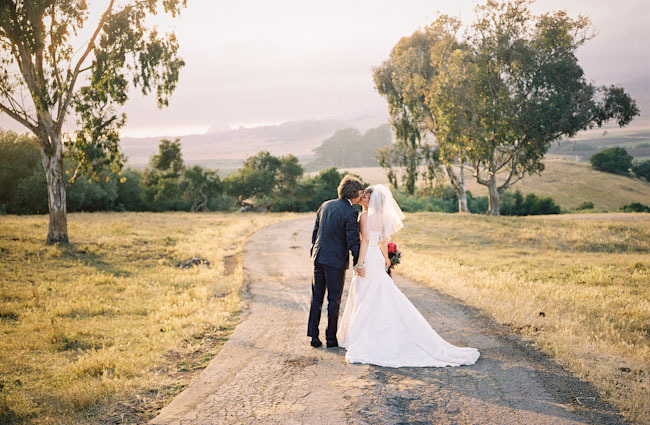 If you’re interested in becoming part of the GWS Wedding Artists Collection, click here to apply. Hope you have a lovely rest of the weekend! 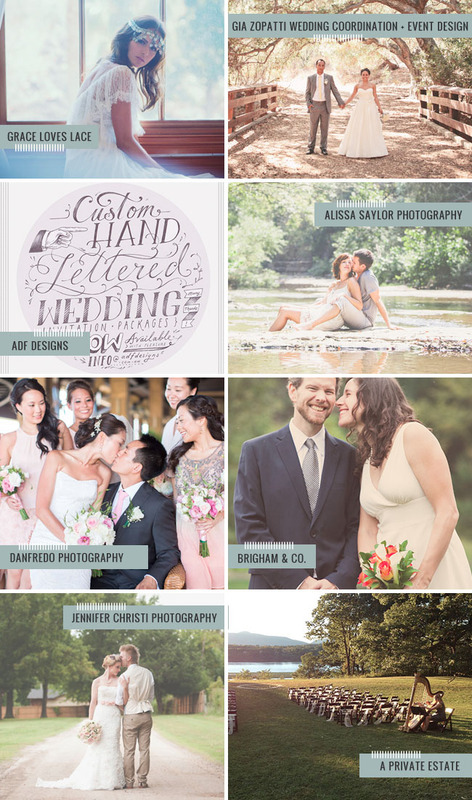 Such gorgeous inspiring vendors! 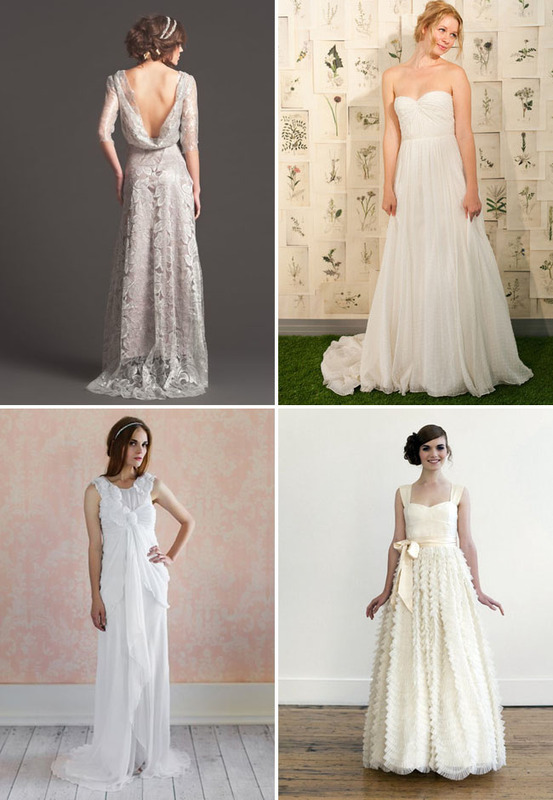 Love those bridal gowns and the hair pieces. Gorgeous! Who makes the wedding dress with sleeves on the top left corner? Grey background, lace dress, super gorgeous! !